Going back generations and including this century and the past, our family has been music lovers, singers, song writers and players of different music and instruments. This reblog post is honoring them and their God-given talents. 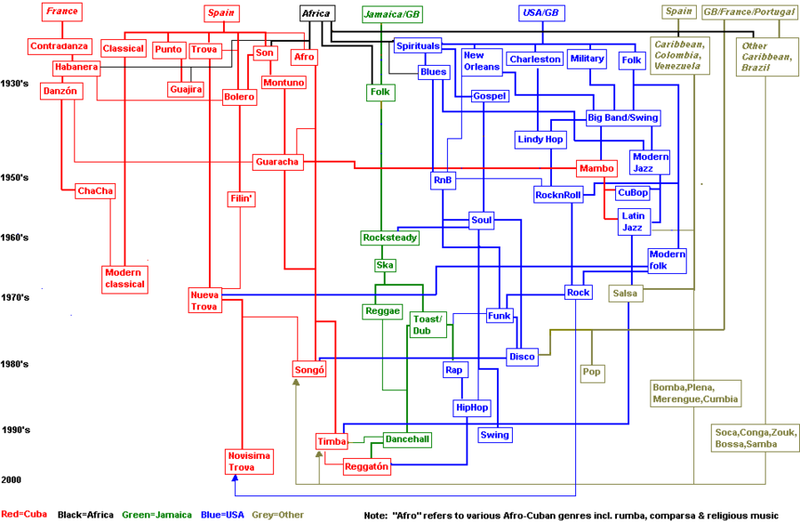 This is a family tree representing the genealogy of Music, may it be from Cuba, Jamaica, or the USA.Now everything written in red is from Cuba, black is from Africa, Green is Jamaica, Blue is from America, and Grey music genres are from other parts of the world, like Europe.I hope this will help you know where the music you play comes from !